January is a natural time for new goals and fresh resolutions. However, I often find myself fighting the feelings of overwhelm after the holidays with simply too much stuff and too much to get done. 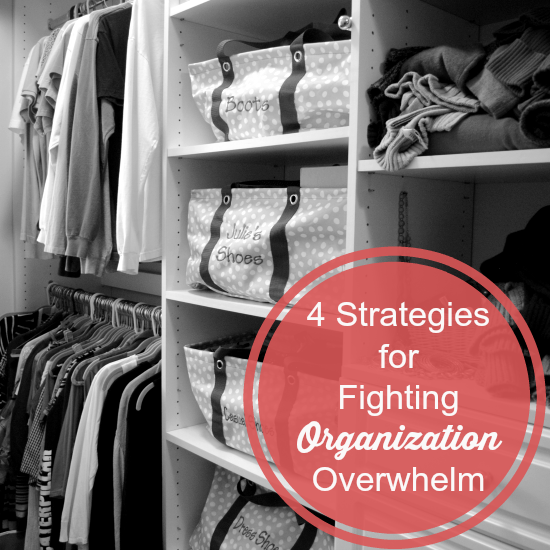 Feeling overwhelmed by organization? Don’t give up! When we feel overwhelmed, it’s easy to get stuck and get nothing accomplished. Sometimes, it seems easier to ignore the chaos and clutter than to develop a plan for organization. Let’s start this year differently! Let’s set attainable goals so you feel successful and accomplished when it comes to organization. 1.) Start small and don’t take on too much. Sometimes, we decide to tackle the entire forest rather than organizing a few trees. Instead, you need to select a small project to organize so you don’t get discouraged or overwhelmed. Once that project is complete, you’ll gain confidence and momentum to tackle a larger project. For example, you want to organize all of your kitchen cabinets. Before you empty out all of the cabinets, try tackling the “junk drawer” or your growing collection of cooking utensils first. 2.) Pick something that will make a big difference. Is there a space in your home that really bothers you? Does the clutter in the space get to you? Start there! Your time is precious and there isn’t a lot extra to go around. So select a project that will make a big difference in how your home operates and how you feel in it. If the project is an entire room, break it down into smaller tasks so you are successful. 3.) Finish a project before starting another one. I’m guilty of this myself sometimes. I tell myself that I’m multitasking, but in reality I’m just taking on too much. It’s important to stick with a project from start to finish. It’s tempting to start another project to get more accomplished on your list. However, generally, it’s best to work on one project at a time. You’ll reduce your feelings of overwhelmed and the project will be completed faster. 4.) Try something new for at least 2 weeks before giving up. Creating an organized space or a new routine can be unchartered territory. For some it’s an easy transition, but for others it’s a challenge and that’s okay. Changes in routine or spaces can be difficult for your family members too. If you are committed to making some changes in 2015, I encourage you to try something new for at least 2 weeks. 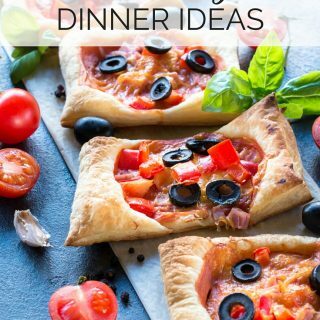 Whether it’s a new routine to start weekly meal planning or a new way to organize your closet, it will feel different at first, but give it a chance! Comment below and let me know where you’d like to start organizing in 2015. Great article! You’re right it’s very easy to get overwhelmed when you think about the big job of getting organized. I’ll admit that’s how I”m feeling right now. I’m also guilty of starting one project and then jumping to another before i’m finished with the first. We’ve been organizing our house in the parts we have neglected like closets. Great tips for anyone.I agree it’s best to finish before moving on.